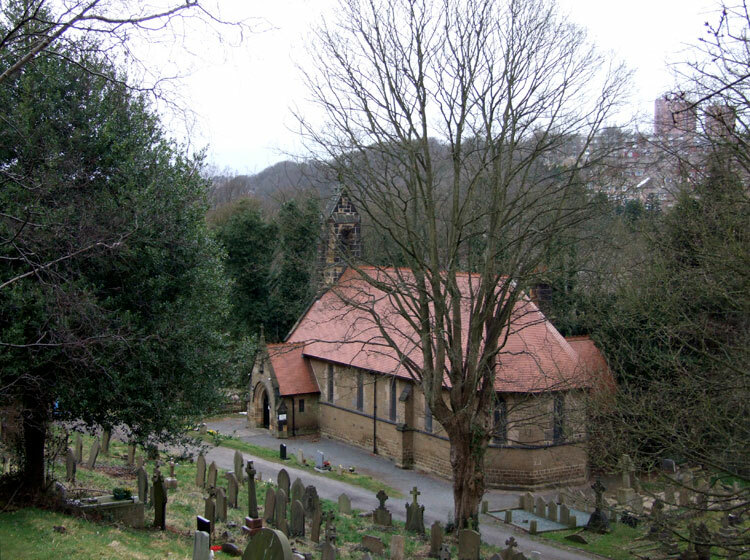 Sheffield (St. Michael's) Roman Catholic Cemetery contains 30 burials from both World Wars, - 24 from the First World War and 6 from the Second. Burials are on a hill, which has become very overgrown. The Commonwealth War Graves are at the top of this hill, away from the chapel, and all are marked by grey granite headstones. Two soldiers who served with the Yorkshire Regiment are buried in the cemetery. We are very grateful to Richard Roberts (<richard.nsw@googlemail.com>) and Wayne Bywater (<waynetyke123@aol.com>) for providing the photographs relating to this cemetery and the Yorkshire Regiment headstones. 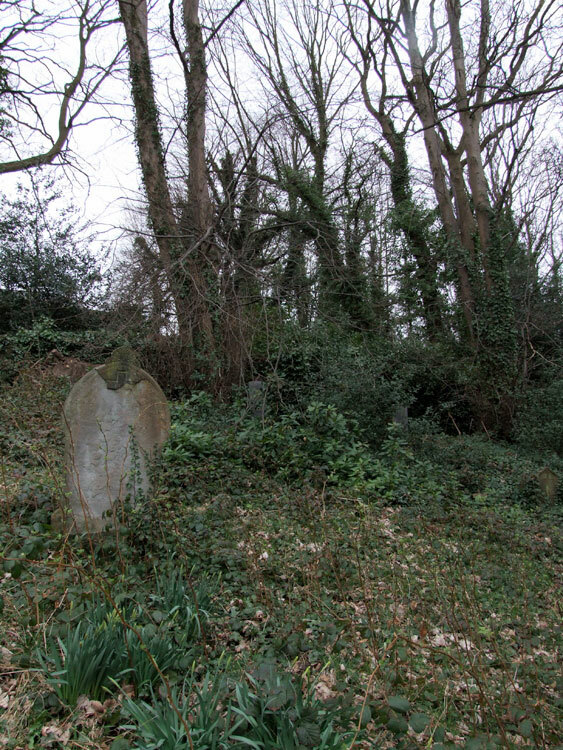 Select the thumbnail image of a headstone for a larger sized image which opens in a new window. Yorkshire Regiment and 16th Group H.Q. Royal Air Force. Husband of Alice Delaney, of 34, Dixon Rd., Hillsborough, Sheffield. 25 years' service. Born at Middlesbrough. Died 29 March 1919. Aged 46. MAY HE REST IN PEACE"
Biographical notes on Michael Delaney may be read by selecting this link. 11th Battalion the Yorkshire Regiment. 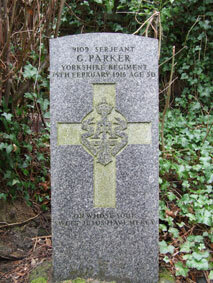 Son of the late E. and W. Parker, husband of Sarah Parker, of 14, Normandale Rd., Sheffield. Died at home 15 February 1916. Aged 50. In the 1891 Census, Michael Delaney was shown as having been born in 1876, and was the son of Bernard and Mary Delaney. The Delaney family was living in 26 Cleveland Street, Middlesbrough, - together with 6 children (including Michael), a grandmother, and 36 lodgers! Mr and Mrs Delaney were heads of this household. Michael Delaney was shown as being a Shipyard Labourer. On 8 December 1892 Michael Delaney enlisted in the Yorkshire Regiment in Richmond. a. He was an exemplary soldier. He was a gym instructor for 10 years, and made an excellent Colour Sergeant - being sober, hard working, and very reliable. b. He saw service in South Africa in 1901 and 1902, including the Relief of Kimberley, Paardeberg, and Drifontein. c. He was awarded a siilver Medal for long service in April 1913.
d. He completed his service on 7 December 1913, retiring as a Company Quarter Master Sergeant. He married Alice Webster in Sheffield in 1906, and on his death he and his wife were liiving at 137 Channing Street, Sheffield. He was the father of Margaret Mary (1907), Jack (1908), and Harry (1912). On the outbreak of war he re-enlisted in the Yorkshire Regiment (or was recalled from the Reserves?) and was commissioned as a Lieutenant. He joined the 8th Battalion Yorkshire Regiment, and was posted to France on 26 August 1915. 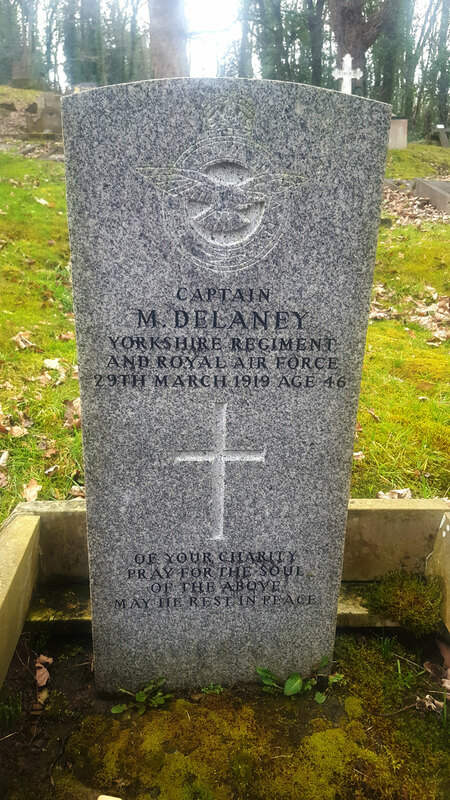 Sometime after this he joined the HQ 16th Group Royal Air Force York, - a training group formed 1st April 1918. His rank in the RAF was, by now, Captain. 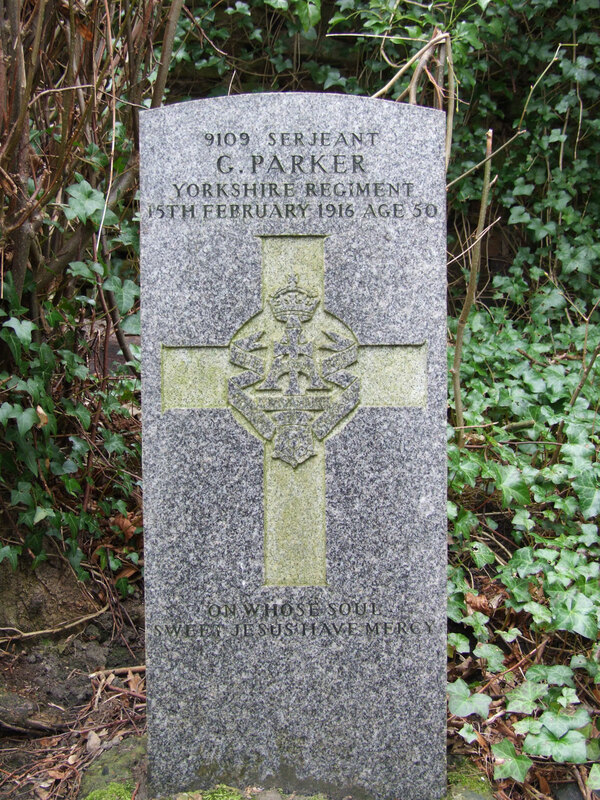 The greater part of his war service would have been with the Yorkshire Regiment, though we have no details of this.